Your letter to Mrs. Michelle Obama was exceptional! I am very excited because the White House has spent 1.4 Billion in ONE YEAR on itself and 20 Billion planned for Air Force One (20 presidential helicopters by 2016). I have informed Obama through Ambassador Dan Shapiro about my theories of economics which are proving to be exact and which suggest very liberal printing of Dollars and Shekels. Both President Obama and Prime Minister Netanyahu have reacted to the information. President Obama has "put the money in is pocket". Prime Minister Netanyahu has made 4 attempts at changing the people on the bills. I am not surprised at these "contraire-ian" reactions (didn't it take Ishmael to save Josef from fratricide?). Bottom line they are stealing my money, money from the Biological Early Warning System, and the Lord is still above them. I brought the Biological Early Warning System to Israel through Mrs. Tzipi Livni at Keren Hadassa. 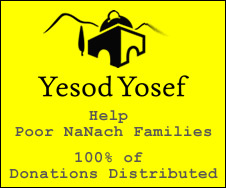 2% ARE DEDICATED to "Bring Rabbi Nachman to Jerusalem" (Mt. Zion to be exact). You can make this happen with Mrs Michelle Obama and Mrs Netanyahu. My Facebook site: "Bring Rabbi Nachman to Jerusalem"
Mordecai Geoffrey Max Spiro shared an article on Jerusalem Post - login. Excellent initiative! look at Bring Rabbi Nachman to Jerusalem for a suggestion. The White House has acquired 1.4 Billion Dollars in one year and Air Force One 20 Billion for 20 supercopters by 2016. It is natural to expect movement here. Good letter. Shalom might have become Israel’s first lady if her husband did not withdraw his candidacy from the last presidential race.